Heatwaves receive less media and public attention than other extreme events such as flood and fire, but they kill more people than any other natural disaster and cause significant damage to ecosystems, agriculture and infrastructure. It's not even Christmas and already we are seeing signs of extreme weather conditions in Sydney, Melbourne and other parts of eastern Australia. Scientists tell us extreme hot weather will become even more frequent and severe in Australia in the coming decades as greenhouse gases continue to accumulate in the atmosphere from the burning of fossil fuels. An increasing number of studies attribute periods of extreme heat around the world to increasing greenhouse pollution. In Australia, days of extreme heat increased markedly towards the end of the 20th century. In the first decade-and-a-half of this century the trend has continued -- and accelerated. Australia has always been, and will continue to be, a land of extremes. Heatwaves are one of the most deadly extremes we face. Heatwaves are extended periods of hot days and nights. They are increasing in frequency, duration and intensity. They are typical for Australia at this time of year but what's clear is that they are getting worse as a consequence of climate change -- and for the most part we are ill prepared to properly deal with them. The US National Oceanic and Atmospheric Administration rates it as a 97 percent chance that 2015 will be the hottest year on record -- and it looks like it will be the hottest by quite a wide margin. We are near the peak of an intense El Niño summer, meaning on top of already severe drought conditions in many parts of Australia, worse than average fire conditions are expected. Are we prepared for increasing heatwave conditions? While the impacts of heatwaves vary, all areas of Australia can be affected. According to the Victorian Auditor-General's 2014 ReportHeatwave Management: Reducing the Risk to Public Healthwe are ill prepared to prepare for and respond to prolonged heatwaves. The report calls for greater clarity around the roles and responsibilities of all agencies involved in the management of heatwaves as well as better public messaging. Heatwave preparedness is also a national issue. The Productivity Commission's self-described role is to 'provide independent research and advice to government on economic, social and environmental issues effecting the welfare of Australians'. Yet when then-Federal Treasurer Joe Hockey prepared the terms of reference for the Commission's most recent Natural Disaster funding report in May 2015, it excluded heatwaves from its remit, even though heatwaves kill more Australians than any other type of natural disaster. In fact the report simply avoided the issue, stating: 'Drought and heatwave are not within the scope of this inquiry. Nor are longer term phenomena such as coastal erosion or climate change, although both could increase the frequency and/or intensity of disaster events'. The federal government has a clear role in mitigating potential disasters. By excluding heatwaves and climate change the Productivity Commission has not budgeted for the actual cost of natural disasters. In contrast, some local councils have very good heatwave policies that could be replicated elsewhere. For example the City of Ballarat and the City of Melbourne have produced heatwave response plans. Other councils are developing urban heat island actions strategies. Emergency services have also increased their communication and community awareness about heatwaves. Ambulance Victoria and paramedics are preparing for a spate of heat related emergencies this summer. The main risk of heatwave is dehydration and hyperthermia, leading to shock, organ failure and death. The people most at risk are those of over 65 years, especially those living alone; people with existing medical conditions or mental illness; people prone to substance abuse and homeless people; pregnant women, breastfeeding mothers and young children and people who work outdoors such as gardeners and labourers. It is not only daytime temperatures that are an issue. Some of the most dangerous conditions for public health are created when the temperature doesn't drop in the evenings. 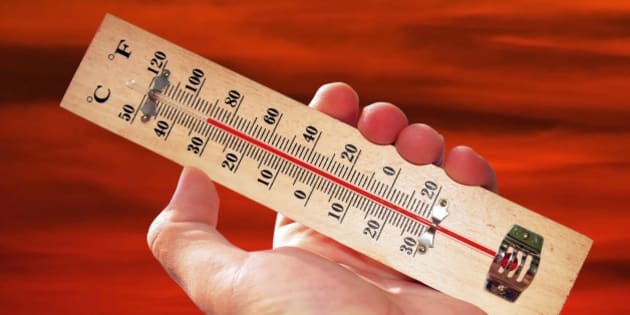 According to the City of Ballarat Heatwave Response Plan "a mean daily temperature of 30°C or a minimum overnight temperature of 26°C in Ballarat can result in an increase in mortality in people aged 65 years and over." You can help minimise the impacts of heatwaves for yourself and your community. Keeping an eye out for vulnerable people and providing a helping hand can go a long way. •	Keep your home cool by installing window shades or awnings to block the sun. Wendy Miller from Queensland's University of Technology has some advice on the best ways to keep your home cool. •	Stay indoors and use an air conditioner if you have one. To save on your energy bill and make your air conditioner more efficient, close unused rooms and prevent draughts. •	If you don't have an air conditioner, follow Wendy's advice on keeping your home cool. Also think about visiting your local air conditioned library or shopping centre. •	Make a special effort to check on your neighbours during a heat wave, especially if they are seniors, young children, and people with special needs. Many older people live alone and could suffer unnecessarily in the heat because they are isolated from friends and family. •	Avoid strenuous activity, especially during the sun's peak hours 11 am to 4 pm. •	If possible, stay out of the sun. When in the sun, wear sunscreen (at least SPF 30+) and a hat to protect your face and head. •	Cool showers or baths may be helpful, but avoid extreme temperature changes. Never take a shower immediately after becoming overheated as extreme temperature changes may make you ill, nauseated, or dizzy. •	Never leave children, pets, or those who require special care in a parked car during periods of intense summer heat.